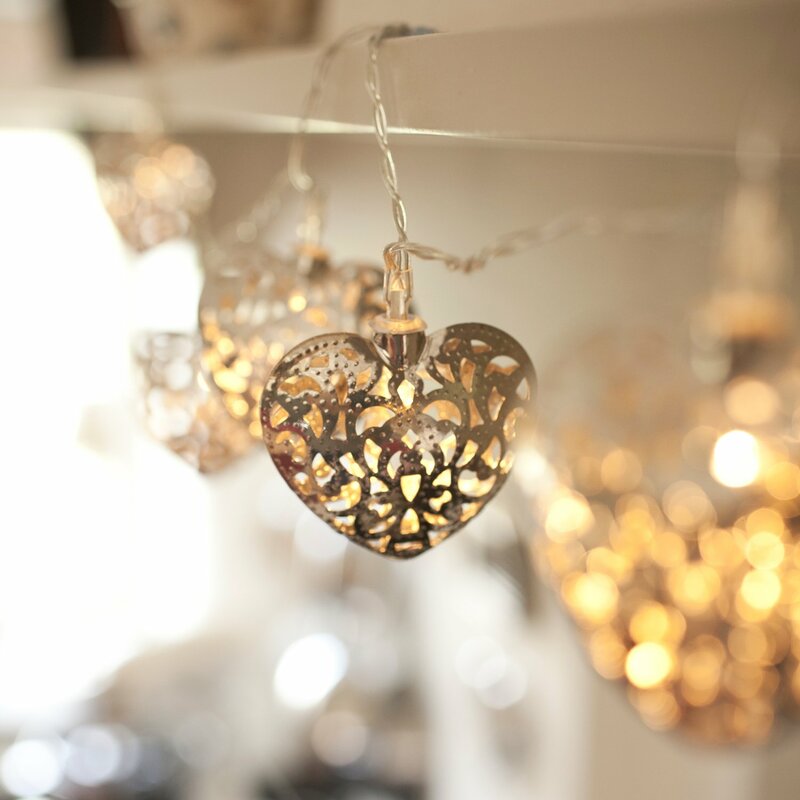 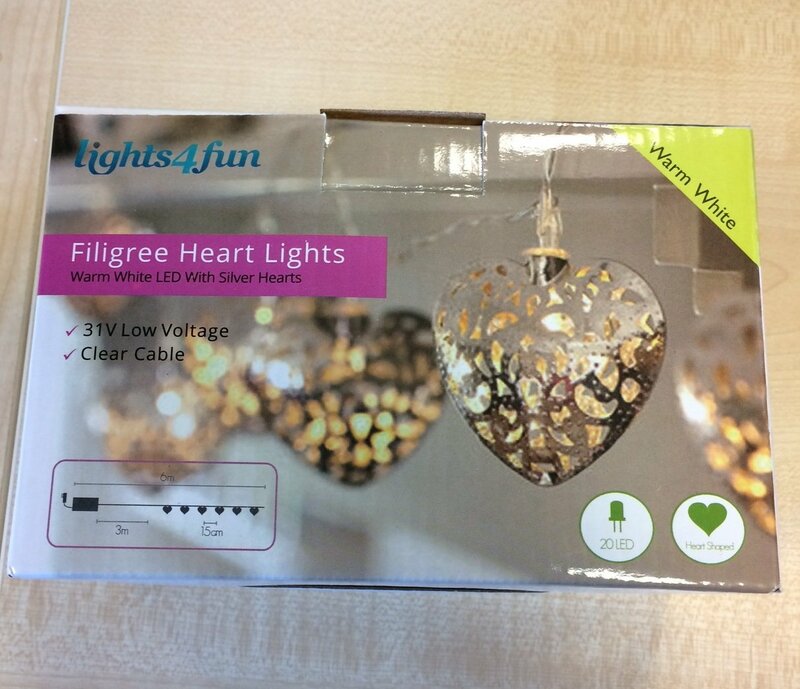 Our best selling battery fairy lights are now available with a plug, so you can have these gorgeous filigree hearts on at the flick of a switch. 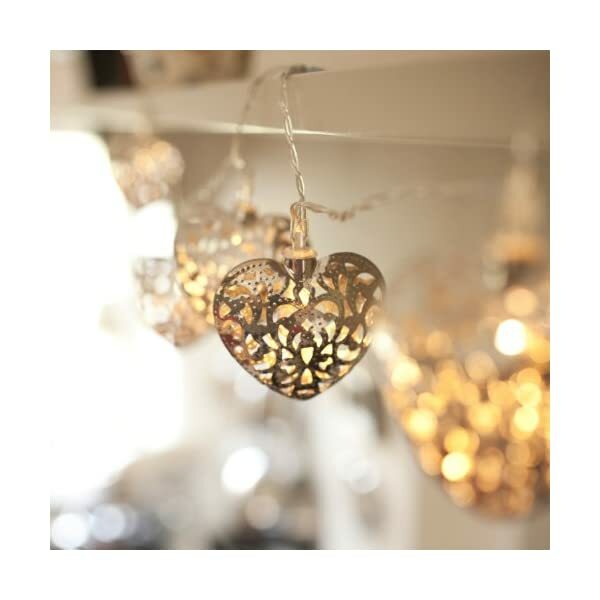 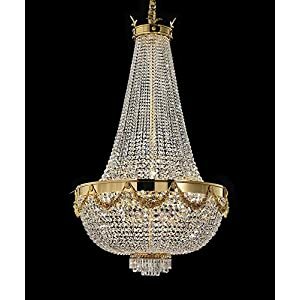 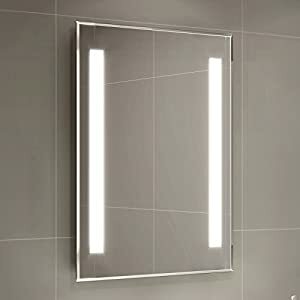 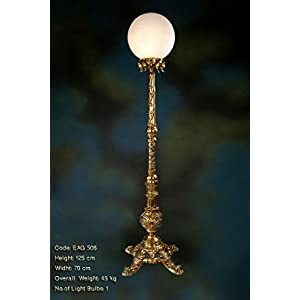 With a warm white LED bulb inside each heart, beautiful shadows are cast from this ornate design. 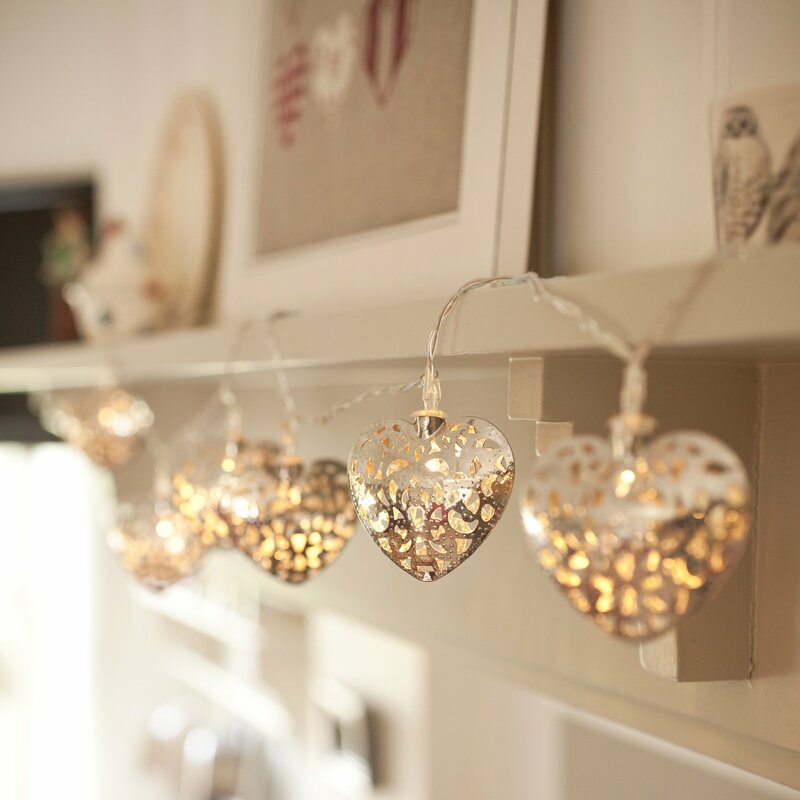 Each heart measures 6cm x 5cm. 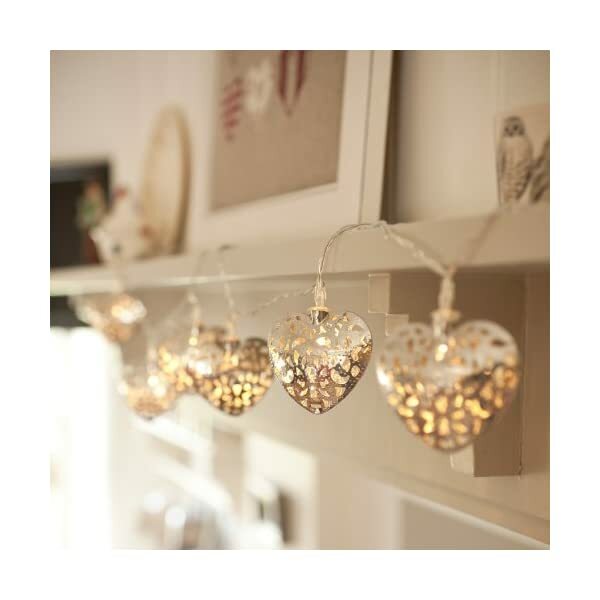 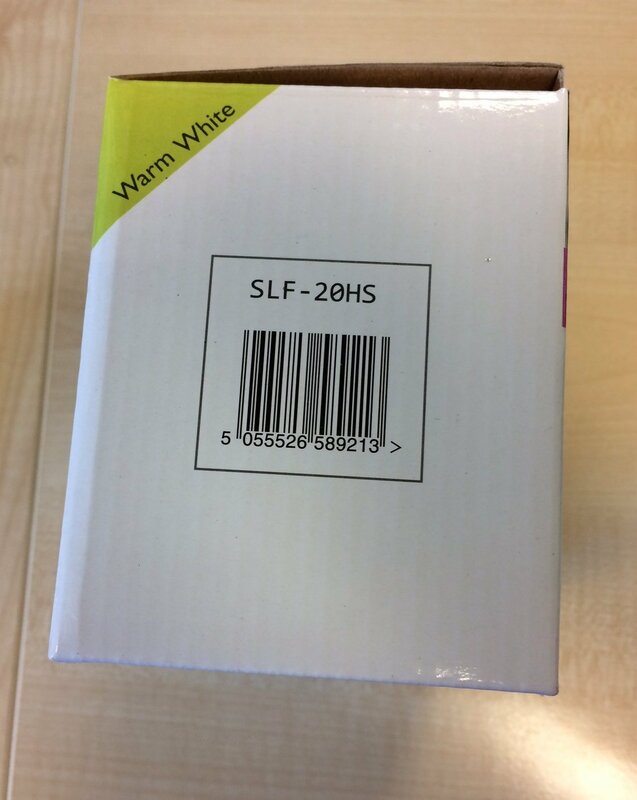 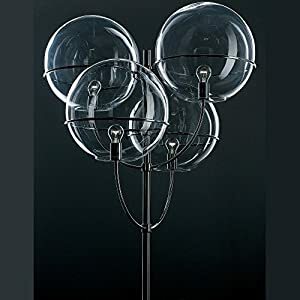 These hearts have a spacing of 15cm with gives just short of 3 metres of lights, plus we’ve included a 3 metres of lead wire from the transformer.